Businesses are often perceived as environmentally destructive forces, but they can also be powerful models of change. An organization that addresses societal needs can at the same time advance business interests. Through strategic environmental philanthropy, businesses can benefit the environment by increasing their efficiency and disseminating the green message. Strategic environmental philanthropy can be useful in distinguishing a business from competitors. The key is putting the economy to work for the environment. Offer products to environmental groups which they in turn sell to their members for a share of profits. Provide coupons to environmental groups that earn a percentage of the profits. Offer business premises for environmental fundraisers or receptions. The key to value return is giving (discounted purchases, a percentage of sales, or gift certificates). Strategic environmental philanthropy is more than a transparent effort to improve a company’s image. 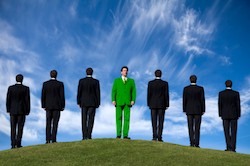 Businesses must strive to understand and meet all needs, including those of the environment. There are a host of adverse consequences to being guided by profit alone, such as public skepticism, distrust, and employee dissatisfaction. Businesses are increasingly seeing the value of environmental considerations, and philanthropy is increasingly being integrated within the corporate strategic plan. Many firms have discovered the performance benefits of philanthropy, including increased customer loyalty, enhanced company reputation, strengthened employee commitment, and productivity. There can be no environmental leadership from the business community without profit. It is vital that we explore viable business strategies for reducing our adverse impact on the planet. Strategic environmental philanthropy does not preclude profits. It enhances them to the good of all and the environment. Strategic environmental philanthropy improves businesses and the environment, while the unbridled pursuit of pure profit actually undermines the bottom line. You might be interested in the tale of an environmental philanthropist who lost US$35 million trying to do some good in the Caribbean. There is a lesson here somewhere and it relates to your point of putting the economy to work for the environment. The story that needs to be told is that there is profit in sustainability. Too many people fear that protecting the planet will result in a profit pinch and job losses. It doesn’t have to be that way, as respecting the earth means reducing waste and maximizing efficiency, both of which are good for the bottom line.